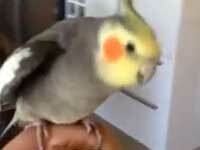 Smart parrot learns how to perform dubstep music. Submitted by monkey on Tue, 01/15/2013 - 12:58am. Whatever place this guy is spinning signs for, i am sold on. Submitted by monkey on Tue, 01/15/2013 - 12:50am. Awesome girl dances at an airport baggage claim like nobody is watching. Submitted by monkey on Wed, 01/09/2013 - 12:45am. 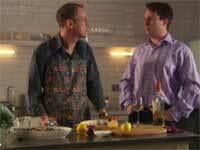 Funny Mitchell and Webb sketch about a vegetarian hosting a dinner party. Great British humor. Submitted by monkey on Wed, 01/09/2013 - 12:39am. 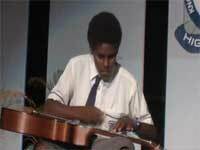 Talented high school kid plays a guitar on his lap at Awards Night. Submitted by monkey on Wed, 01/09/2013 - 12:36am. I guess if you don't have a sled, a snow shovel will do just fine. Watch this guy take one fast downhill. Submitted by monkey on Sun, 01/06/2013 - 11:41pm. Impressive alley-oop but in reverse, and it happens so fast. Submitted by monkey on Sun, 01/06/2013 - 11:39pm. A few people create of the most interesting and creative parkour video using a moving car. Submitted by monkey on Thu, 01/03/2013 - 1:52am. 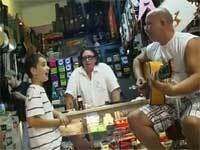 Amazing talented kid sings the Blues in a guitar shop. Submitted by monkey on Mon, 12/31/2012 - 2:53am. 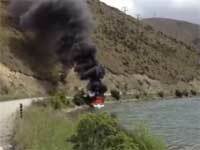 This is the best place for a boat to be burning at, if you're creative like these people. Submitted by monkey on Mon, 12/31/2012 - 2:51am.